Journey for kids, teens, and adults exists to partner in our mission to Shadow God, Build the Church, and Heal the World. We accomplish this by providing opportunities to get connected, develop personal and spiritual growth, and care for one another through relationships. To build relationships with your children so that we can speak into their lives, inviting and guiding them towards a personal relationship with Jesus. We want to encourage a life-long journey of personal transformation of becoming more like Jesus in their attitudes, thoughts, and actions. We believe that our children are wired to know God and to be in relationship with Him. We believe that self discovery in a safe space will allow children to meet God in their own personal way at their own developmental pace. We believe that spiritual formation is happening whether or not it is intentionally encouraged and nurtured. We believe it is relationships, that change our kids. A great program simply creates the environment for healthy relationships to form between adults and children. Kids thrive when adults care about them on a one-to-one level, and when they also have a sense of belonging to a caring community. As parents we commit time and money towards our kids’ education, sports, dance and music endeavors to name a few. We encourage you to equally commit to your kids’ spiritual growth by being intentional and actively participating in their spiritual development. You can do this by attending Westwinds on a regular basis; by participating as a volunteer in Westwinds Kids; by talking about God at home or in the car; by helping your kids develop friendships with other Westwinds’ kids. At Westwinds, we believe that baptism is a personal decision. It is not something that anyone else can decide for another person, even a child. We believe that a person should be old enough to decide for him/herself if they want to announce their intention to follow Jesus by being baptized. For that reason we do not baptize babies, although we offer parents the option of dedicating their young children to God. If your elementary age child has expressed an interest in baptism, we want to support parents by providing several tools that may help you discern if your child is ready for baptism. Please contact terri.mcgarry@westwinds.org for this material and to set up a time he or she can meet with you and your son or daughter. Baptism is a wonderful and powerful celebration of a kid’s spiritual journey. We want to make it a memorable experience for your child and family. Spring and fall are regular times we set aside to dedicate our children, infants through age five, and mark them with God’s promise for their lives. Our Kids Journey ministry is embracing the opportunity to build partnerships with parents in developing their child’s faith journey. Parents who wish to have their child dedicated must attend a mandatory parent meeting and return the registration form. Information with specific dates for child dedication are available 3-4 weeks prior to the dedication. Brochures and registration forms can be picked up at the Kisok or at the Kids’ Check-in Table. Parents, we discourage you from bringing sick kids to WW classes. Coughing, sneezing, and runny noses are primary ways for infections to be spread to other kids and adults. If your child is displaying these types of symptoms, you may need to consider staying home or plan to keep them with you during Cue. There are seats reserved in the auditorium for families with small children. An usher will be happy to help you. Any communicable disease; pink eye, strep throat, cold sores, etc. Fever, vomiting and/or diarrhea within the last 24 hours. Sore throat, coughing and/or sneezing. Snotty yellow or green nose. If your child exhibits these or other illness symptoms after he or she has been accepted into a class, you will be contacted to pick up your child. 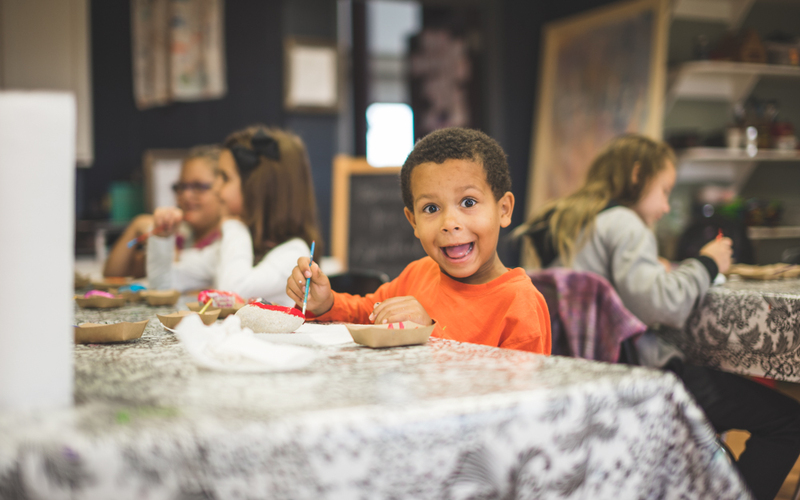 While we offer consistently loving and safe care, we do like to be creative, so it’s vital that you notify classroom teachers of any major health concern (such as a peanut allergy, for example) each time you bring your child to Kids Journey. We won’t think that you’re nagging or being overly protective, we promise! Children are always accompanied by approved personnel that have been through a 3-step security screening process including an interview, reference checks, and background checks. Westwinds also uses a check-in process to insure that children are returned only to the adults who have dropped them off in their classes. Please contact terri.mcgarry@westwinds.org with any questions that you may have. Find out more about our Kids Journey by contacting our Kid's Journey Designer Terri McGarry. E-mail Terri McGarry, our kids journey designer. 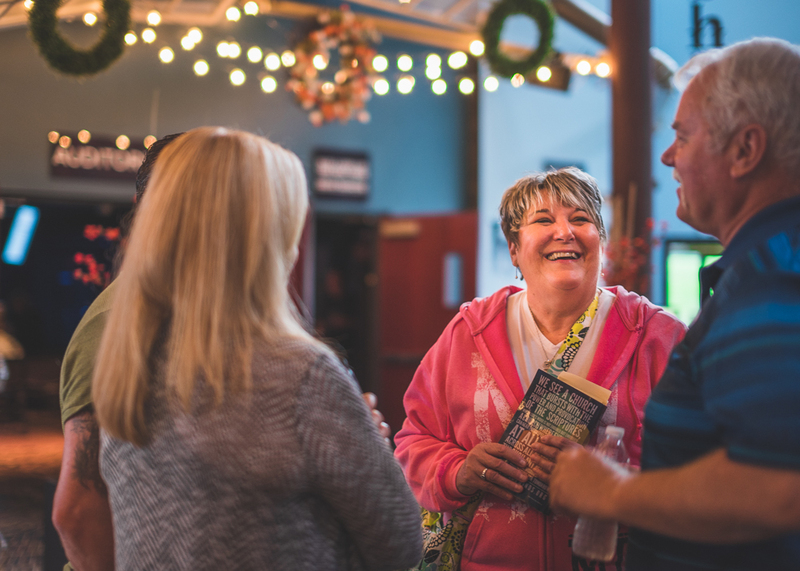 Adult Journey provides opportunities to get connected, to learn from each other, develop personal and spiritual growth, serve the community, and develop long-lasting relationships. For questions or assistance, please contact Ben Redmond, our Journey Designer. At Westwinds we realize we cannot be all things to all people. Our vision is to bring Christ to the spiritually curious, to those disenfranchised with organized religion, to the thinkers, and to the creatives (though, it’s more accurate to say those are the kinds of people that usually gravitate towards Westwinds because that’s what naturally flows out of us). To guide our decisions and foster in this regard, we uphold four core values: imagination, perMission, authenticity, and community. We want to open up our sanctified imagination and ask God to help us determine how best to shadow Him and heal the world. We want to be a perMission giving place, always encouraging people to be involved in their own niche in ministry. We don’t want to have to put on a brave face or falsify some kind of Pollyanna facade while we do this, though, and so we also value authenticity, meaning we don’t want people to stress too much over looking good as much as we want to be focused on helping others find Jesus. Lastly, we don’t want to do all of this alone but as part of a community instead. 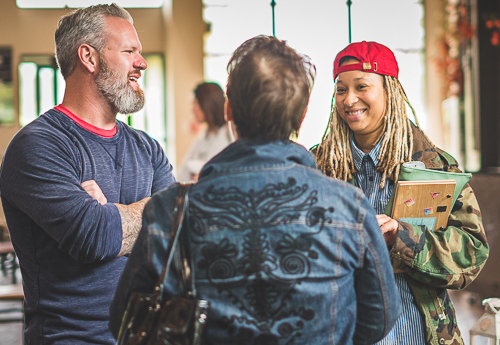 Community can be difficult, but its this inherent difficulty that makes community spiritual – it requires character, and hard work, but in the midst of that work Christ is better revealed to his people. Sign up for and attend an upcoming Intro Class to learn more about Westwinds. This whole thing is so new to me. How can I be sure that I’m really ready to be baptized? That’s a great question. Baptism isn’t something that anyone should feel forced to do. Each person should only do it when they’re ready. Having said that, some people worry that they have to live perfectly from now on. Some even have expressed “there are some things that I need to get out of my life before I get baptized.” It’s great when we want to bring our lives in line with Christ’s instructions, but being baptized is more about starting the journey with Jesus than having everything in your life in order. Things start to fall into place in good time. So relax. Baptism is about celebrating God’s forgiveness and the new journey ahead. What is my next step in the process of “taking the plunge” to get Baptized? To get started you, fill out the online Baptism Registration form prior to the first of two preparatory meetings. The first meeting will be to lay the historical and biblical foundation of Baptism as well as provide some reflection questions about the step you are about to take in your faith journey. The second meeting will be to discuss your answers to the reflective questions as well as provide the needed information for the day of your Baptism. Both are necessary to attend. What does it mean to be an “owner” at Westwinds? As Christians, we are members of God’s household ( Ephesians 2:19) called to function, participate, and minister in a particular place within the body of Christ. A healthy body requires that each member do its part well. A healthy church requires the same: members, or “owners” as we call them, are sacrificially committed to do the work of the ministry that God has prepared in advance for them to do (cf. Ephesians 2:10, 4:12). What are the requirements for becoming an owner at Westwinds? A Westwinds owner is on board with Westwinds mission, vision, and values, they support and participate in the Elements and Satellites, and align themselves with or theological essentials. Owners give of their time, their talent, and their treasure. We encourage you to complete a registration form on-line, attend the three week APP, and attend the monthly Hivemind gathering. Every Sunday night, we gather at the Hub for a good time featuring a great band, powerful teaching, and crazy experiences. Services are experiential, image-driven, participatory, and fun! We’re always changing our service experiences, but this time is consistently a safe place for students to know God. Services are on Sunday nights from 6 to 7:30p. Satellites are small group Bible studies that are designed to go in depth on Jesus’ teachings. Satellites are led by two adults who share life with a group of students who are the same gender and age. Our satellites provide care for teenagers by investing in their lives on a consistent basis. In addition, our satellites provide accountability for teenagers by challenging them to become the people God has made them to be. Satellites meeting times and locations vary, so please email ben.redmond@westwinds.org to find out when they meet or if you would like more information. 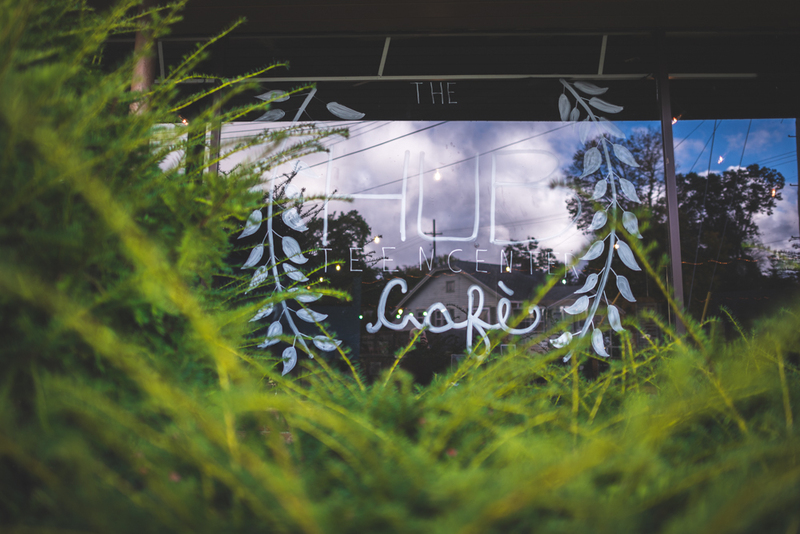 The Hub Teen Center is a 501c3 non-profit teen center located in the heart of Jackson that seeks to provide a safe, fun, and positive place where teenagers can be developed into great people through relationships. The Hub is here for the teenagers of our city, as well as for those people who work with our teens. 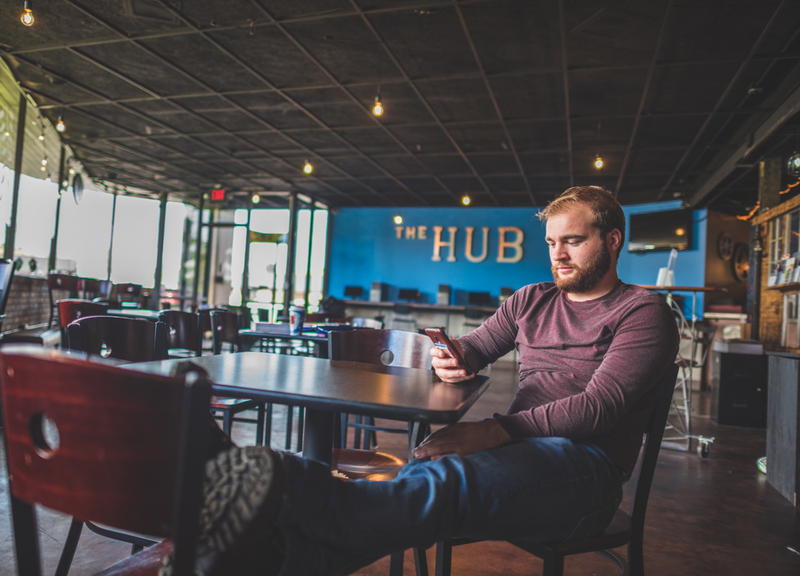 The Hub is faith based, and operates out of a belief in God’s love expressed through Jesus. With that said, the hub exists for the development of every teenager regardless of belief. Our doors are open to all teens who will cooperate with our goal to create a safe, fun, and positive place. The Hub is open Monday through Friday from 3-5pm, and Saturday from 6-10pm. Our leadership team at Student Journey is, simply put, the best on the planet! We are always looking for more leaders to help lead teens toward a relationship with Jesus. If you are interested in being a Merge (small group) leader for teens, please contact ben.redmond@westwinds.org to find out more. Information about our latest news and events. Follow The Hub Teen Center on Twitter. Have questions? Want to learn more? Send us a message.